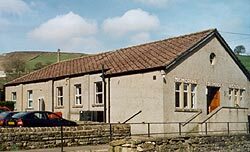 Lofthouse Memorial Institute in upper Nidderdale is a large, well-kept village hall originally founded to honour the fallen of the First World War. It contains a spacious main hall with a stage, a billiard room, a kitchen, toilets and an adjacent car park. Lofthouse Memorial Institute is the home of clubs such as the Flower and Garden Club, the Mother and Baby Group, craft classes, aerobics, regular domino drives, billiards and snooker. New members are welcome. 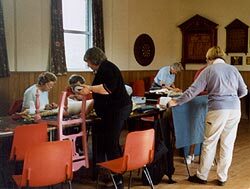 The hall is also booked for parties, craft fairs, dances, fashion shows, coffee mornings, games (table-tennis, darts, indoor bowls) and as an HQ for organised walks. If you have an event that you wish to stage at Lofthouse Memorial Institute then contact Julie Firth of Brook Cottage, Stean at 01423 755275 to book the hall. The normal price is £6 an hour – this includes the use of the kitchen as appropriate.